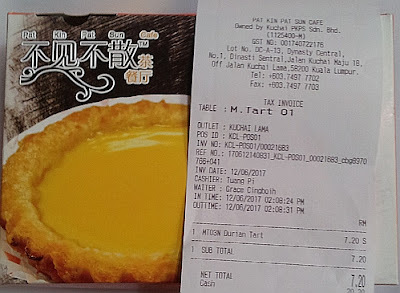 We have eaten these mini durian tarts before and we like it so we bought them again at MYR7.20 nett a box for 6 mini tarts. But they were not the same as before. 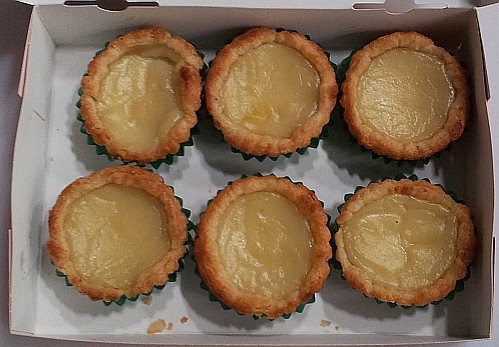 The texture of the fillings used to be like the usual egg tarts - firm yet soft custard but now the fillings are like thick cream paste so we do not like it although we finished eating all these, we won't buy them again. Oh dear, such a shame they did not maintain the texture of the fillings. They are surely going to lose some loyal customers over this. maybe some customers like creamy texture like this. Hmm. Wonder why not the same. Change of recipe. I love durians! Even the durian tarts would be a nice treat but now it has dropped its rating. I better forget it. maybe you like creamy texture. Could it be after their promotion, they decided to forgo the quality of the tarts? So sad because they will lose their customers and business. maybe some like it this way. Pity that the durian tarts aren't as good as before. ya not going to buy again. oh so you don't like durian?